A different way to puzzle: the Norway way! Puzzles are a truly global phenomenon, and it’s always fun to explore how other countries tackle classic puzzle styles and designs. In the past, we’ve looked at German puzzle magazines, Spanish puzzle magazines, Sudoku books in Russian, French, and Japan, and we’ve even embarked on a global tour of Logic Art puzzles from all over. 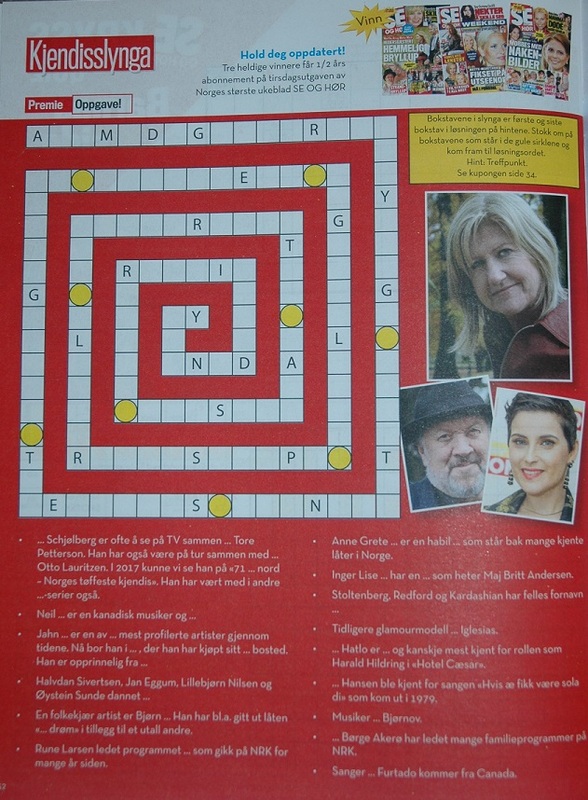 As you can see, in many European-style crosswords (including these), the clues are placed right into the grid itself, rather than being offset and gathered in one place. Couple this with the intriguing arrow paths roaming throughout the grids, and you’ve got some tight, crafty construction. 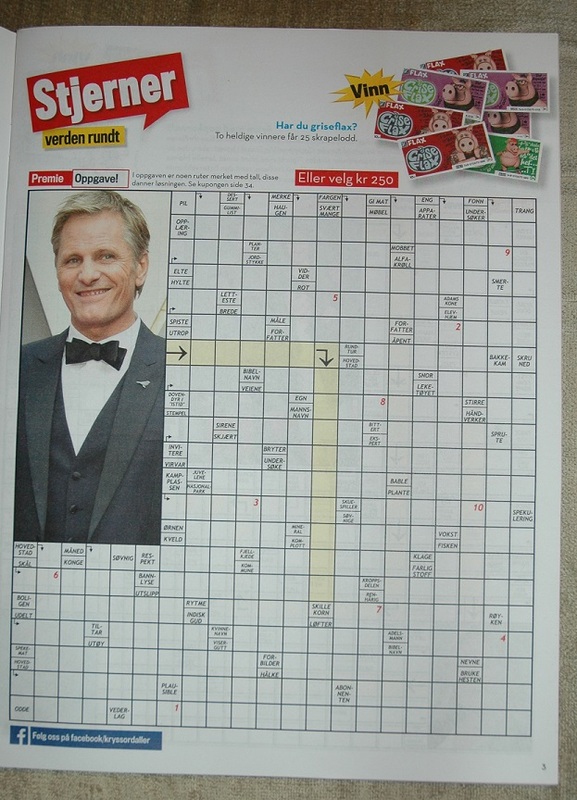 But crosswords aren’t the only kind of puzzle to get the Norwegian treatment. Here, a Quotagram and a Bull’s-Eye Spiral take a trip through the Google Translator and come out the other side ready to be solved. Thankfully, some puzzles remain universally solvable no matter what language you’re in. A Framework-style Fill-in and a Word Search with Scandinavian origins can both be cracked with relative ease. And there you have it! 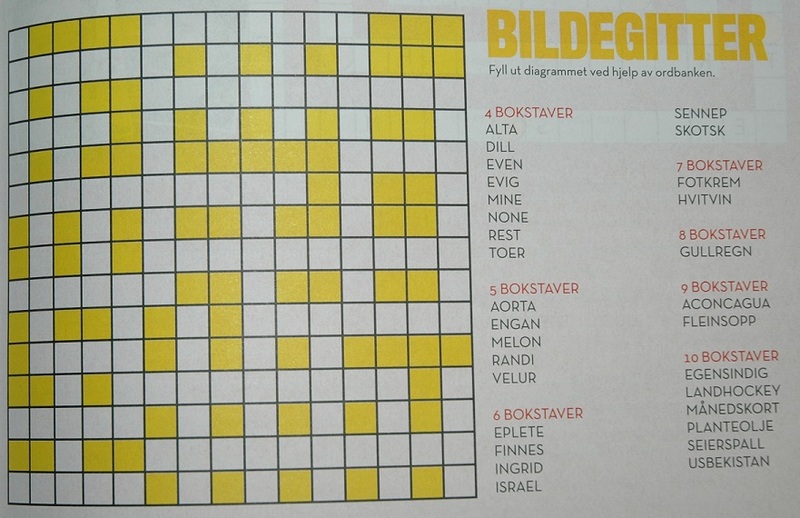 This Norwegian puzzle book shows not only the endless variations in puzzle design and construction across countries, but surprising similarities as well. 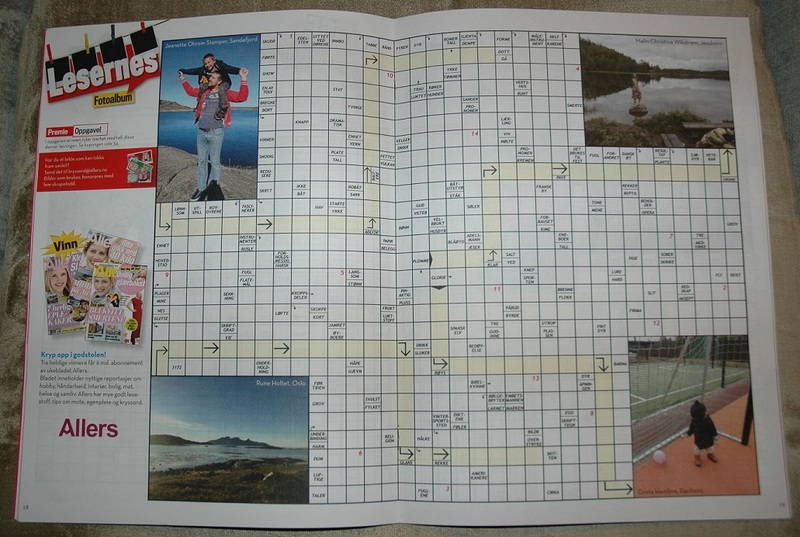 I hope you enjoyed this little glimpse into the world of foreign puzzle books! If you’d like to see more posts like this, let us know in the comments section below!